As I am less familiar with this work than the others, I can’t tell how far off Butler went from the original. To me the main points and idea seemed to be there, including my favorite line about overused common-place phrases like “conquest” or “tipping ones hat!” I’ll be interested to have a conversation with my friend Caitrin after she reads it as this one is by far her favorite. DRAMA! Right? I mean it says “A Dramatic Encounter.” This one was probably the closest to the manga version of Emma that I read when it came to emotions and drama. I didn’t get as many feels with this adaptation as I did with the original. This is because there are so many characters in the book and the constraints of the graphic novel format weren’t really conducive to the multiple love stories, numerous characters in and out format. It was still great though! Overall, I’ve really enjoyed delving into this form of reading. It’s reminded me of those I’ve enjoyed previously and those on my shelf that will make appearances on the blog at some point: Moore’s Watchmen and Bechdel’s Fun Home (both of which I’ve read previously) and Bechdel’s Are You My Mother? Recommendation: I can’t recommend these enough. I think they are such great resources for younger or reluctant readers, and they are definitely great for those of us that love Austen but have so many books we want to read that they’re a great hold-over/quick fix. 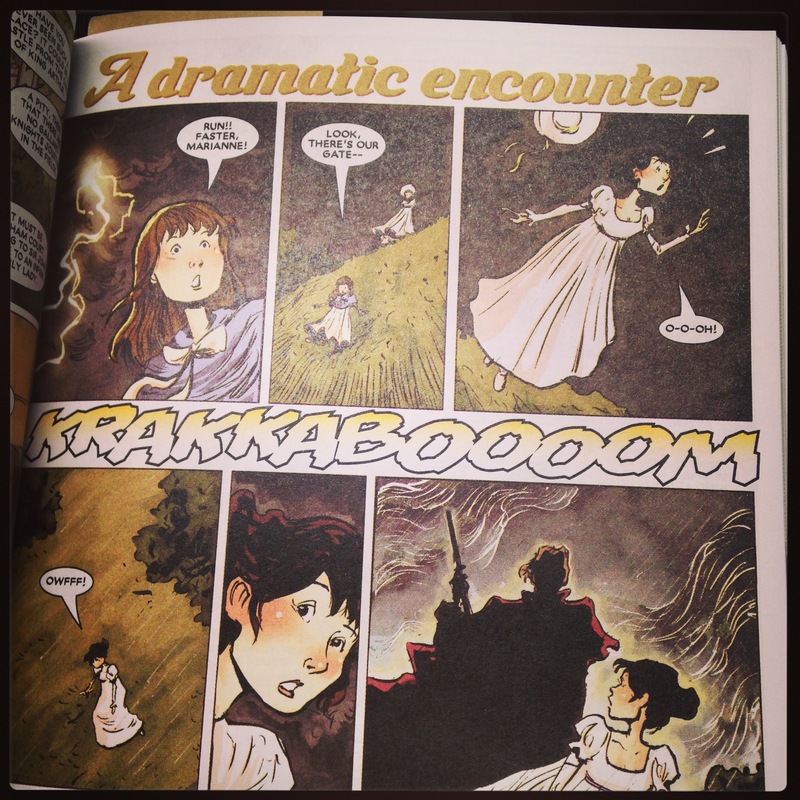 Hey there: Thanks for sharing these graphic novels! 🙂 I thought you might like to know that my graphic novel “The Poet and the Flea” (Volume 1) about the poet-painter William Blake is now on Kickstarter: https://www.kickstarter.com/projects/868711984/the-poet-and-the-flea-ode-to-william-blake-volume Please check it out and help spread the word! Thank you so much! —G. E.
Thanks for stopping by and for the comment. I’ll definitely check out your Kickstarter.